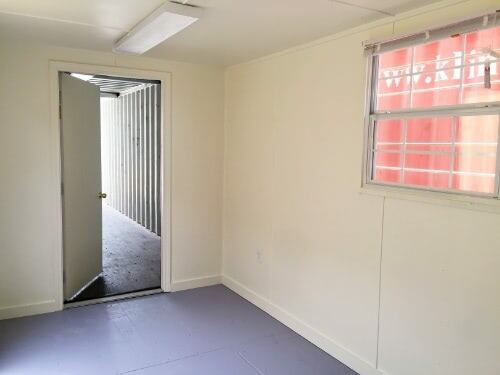 The work and store container is like the store and work container with a reversed floor plan. The storage and ground level office spaces each have their own door to create a disruption free workspace. 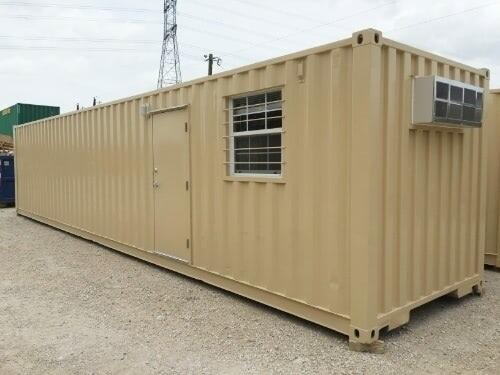 Consolidate workspace and storage utility space into one container footprint for efficient site utilization. Support for up to three workstations in comfortable work environment with climate control and office-grade finish out. Connected secure, weather-proof storage utility space. Durable, heavy-duty industrial construction for long useful life. Quick setup and relocation with easy electrical connection and no need for steps, ramps, tie downs, skirting or foundation. Includes steel personnel door, three windows, plywood walls, insulation, HVAC unit, overhead lighting, outlets and 200 square-feet of workspace.